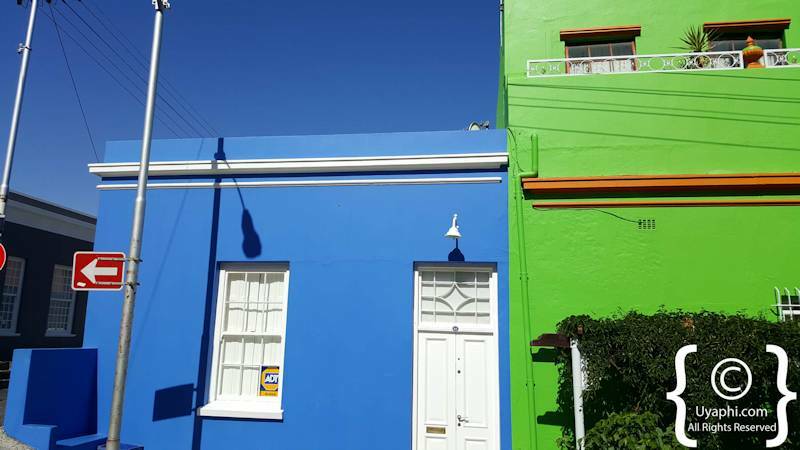 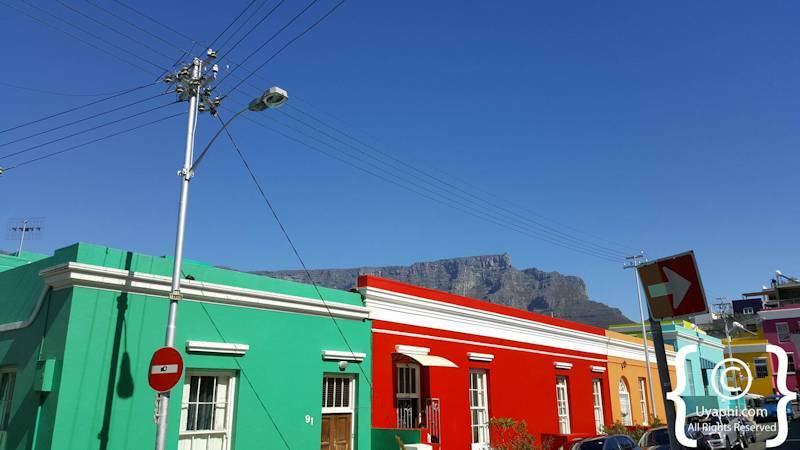 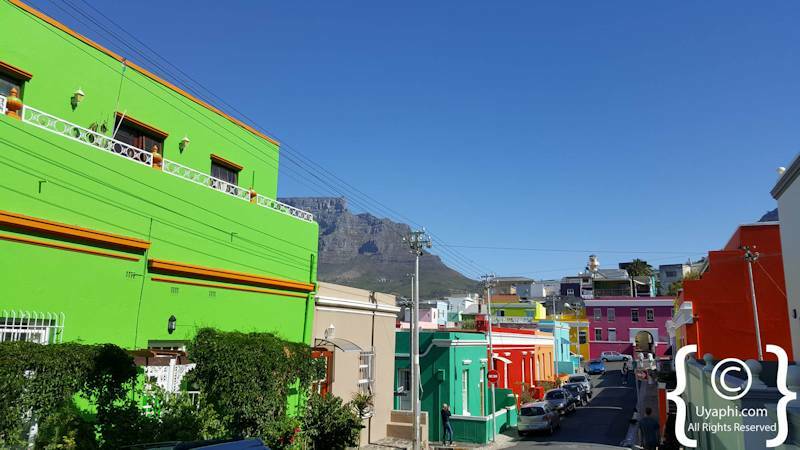 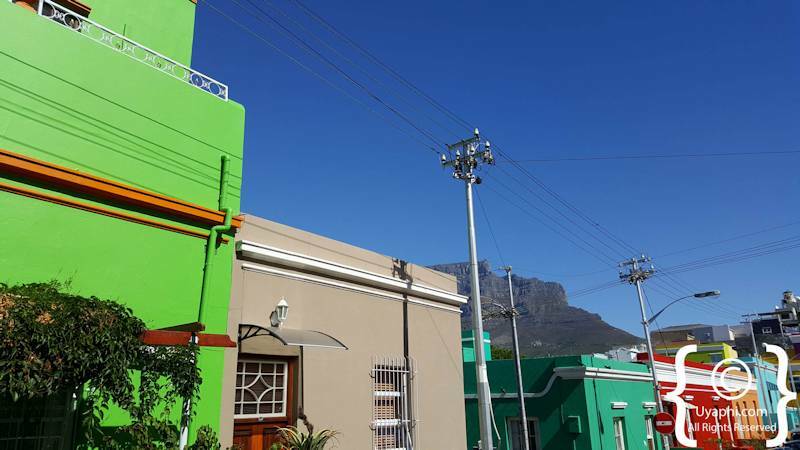 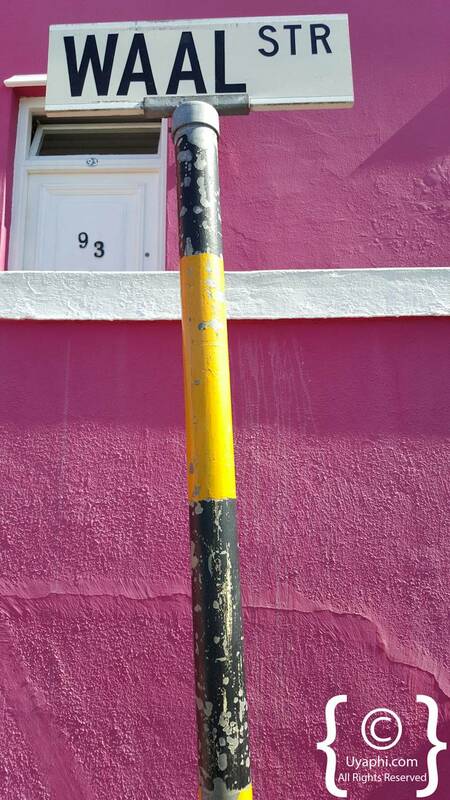 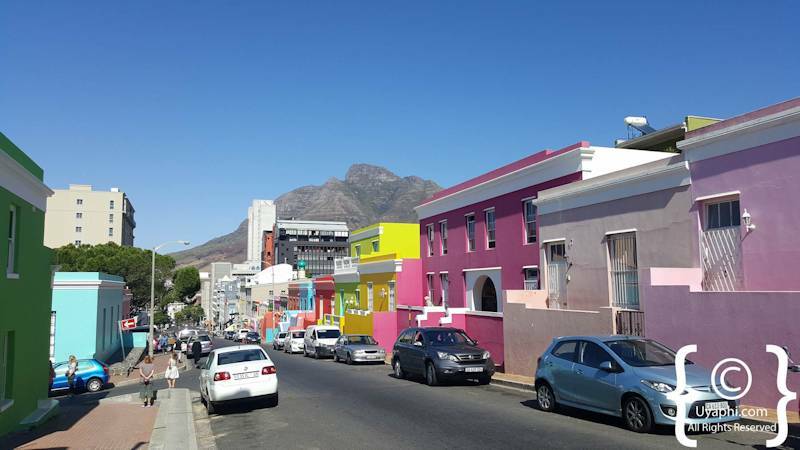 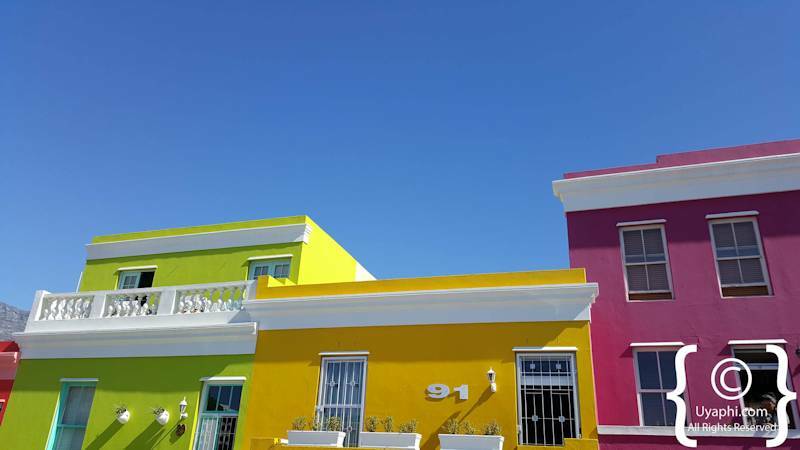 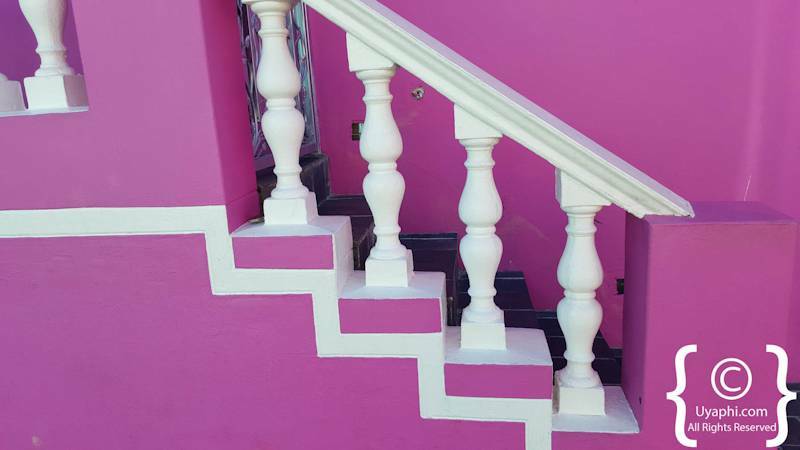 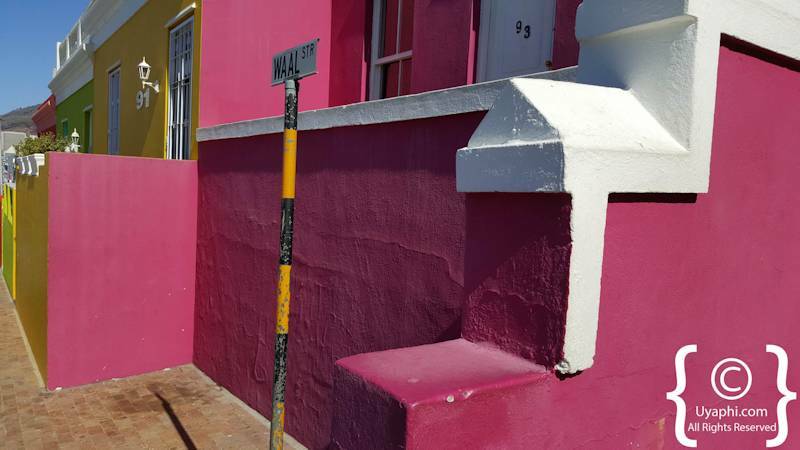 The Bo Kaap suburb of Cape Town is famed for her brightly painted houses, cobblestoned streets and unique Malay styled cuisine and all of this on the slopes of Signal Hill. 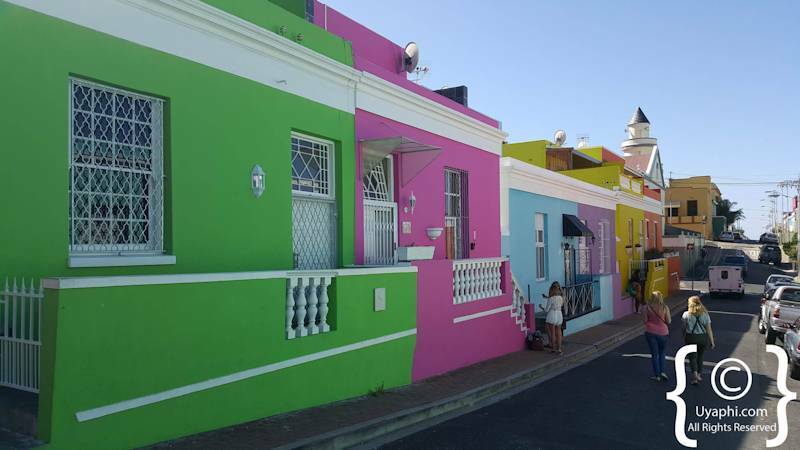 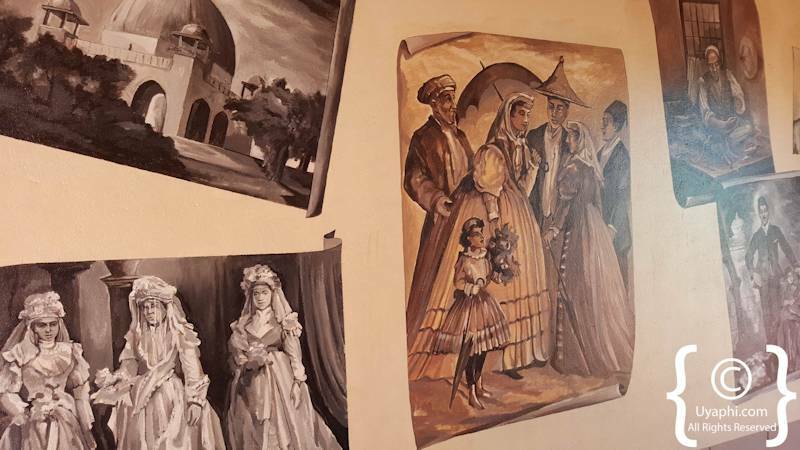 This suburb and her people are steeped in history dating back to when slaves were brought to the Cape by the Dutch East India Company during the 16th and 17th centuries. 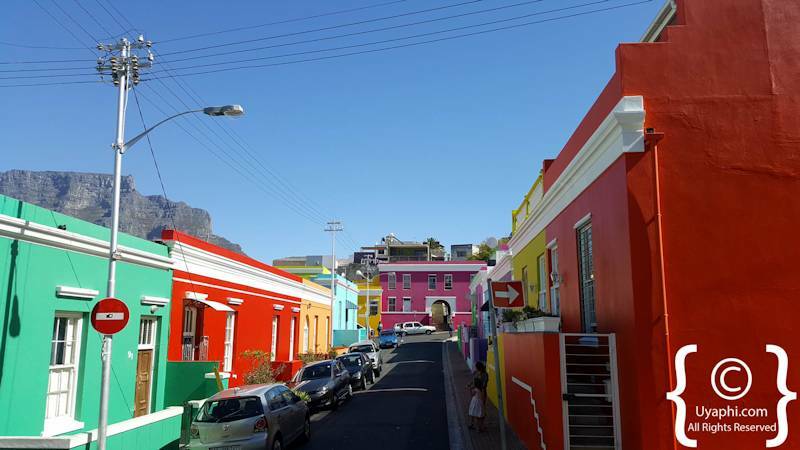 Formally known as the "Malay Quarter", this is one area in which one can wander up and down taking photographs and finishing up with a fantastic lunch at any one of the numerous Cape Malay restaurants. 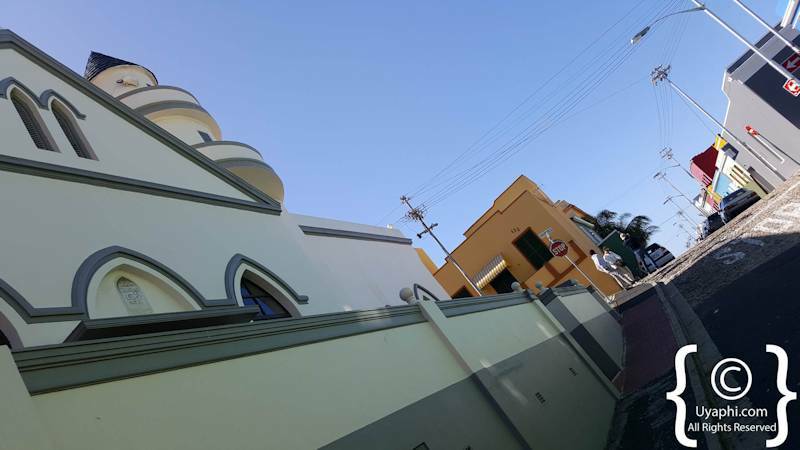 The area has a strong Muslim influence, around 90% of the inhabitants are Muslim. 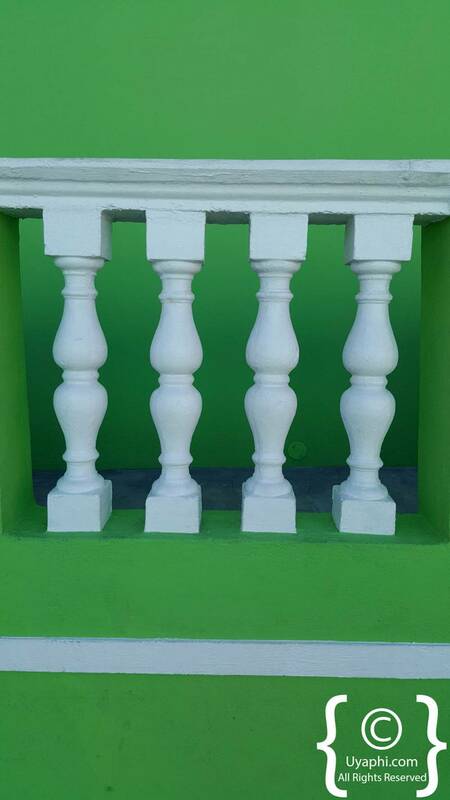 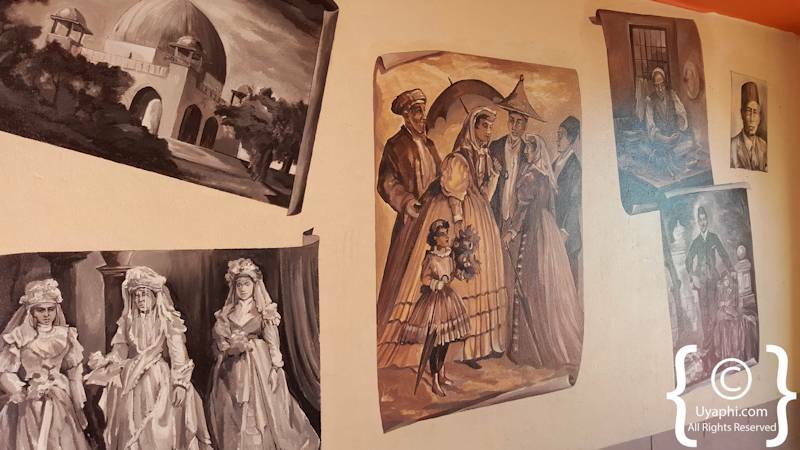 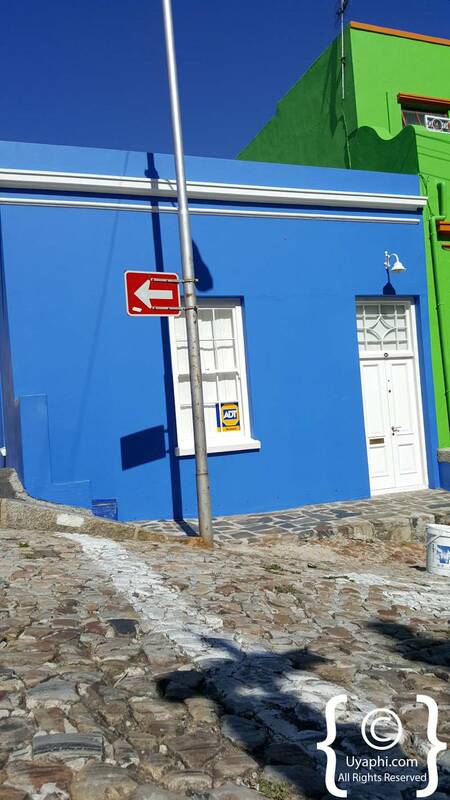 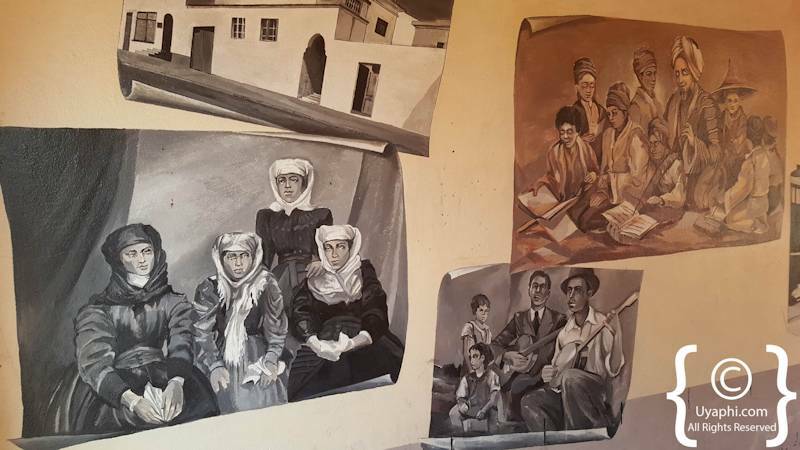 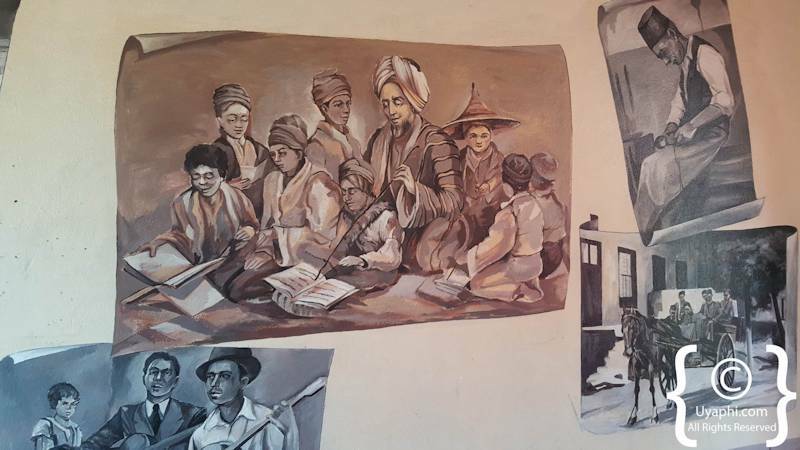 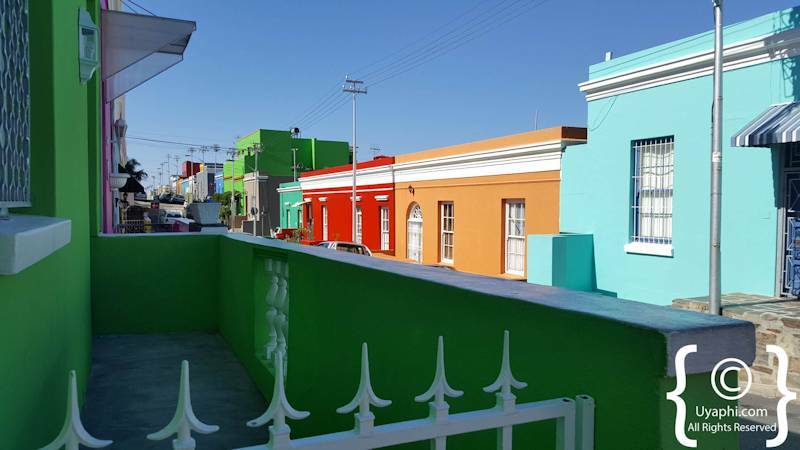 The Bo-Kaap Museum is also recommended to gain insight into the area, her people past and present. 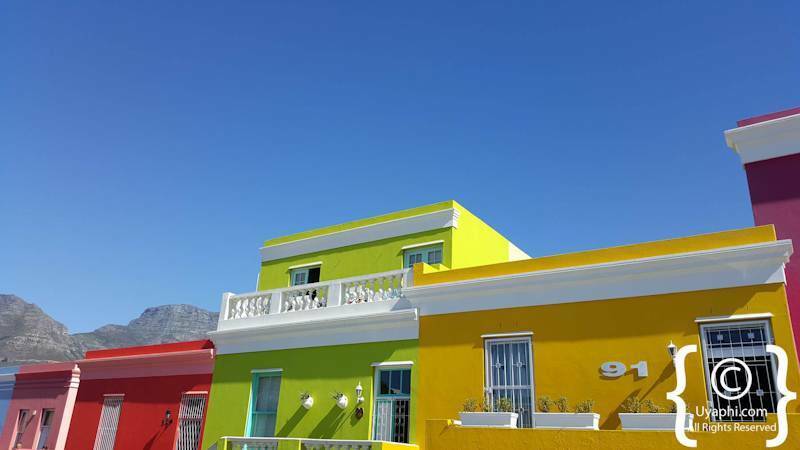 We have always found it best if one hires a guide for a few hours, contact us and we will find a guide for you. 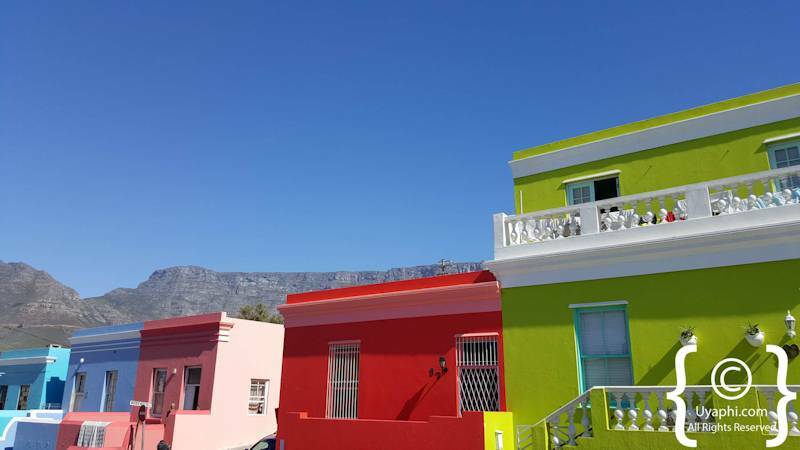 Of interest as well are the Cape Malay Cooking safaris, where after a short tour of the area one can learn the art of cooking in the Cape Malay way. 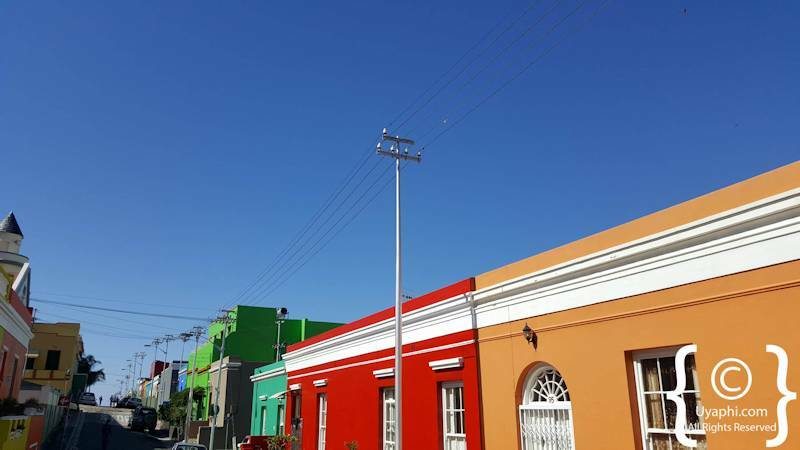 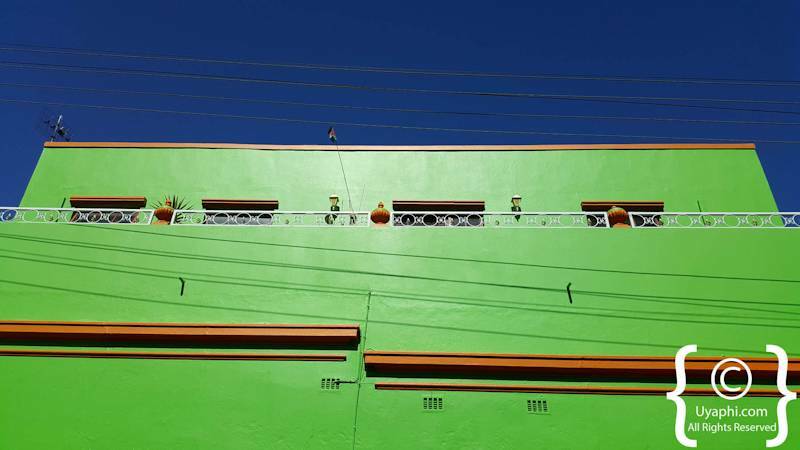 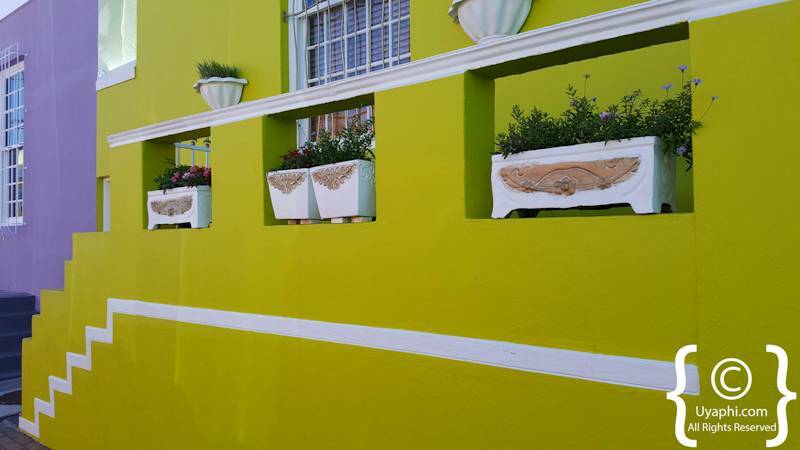 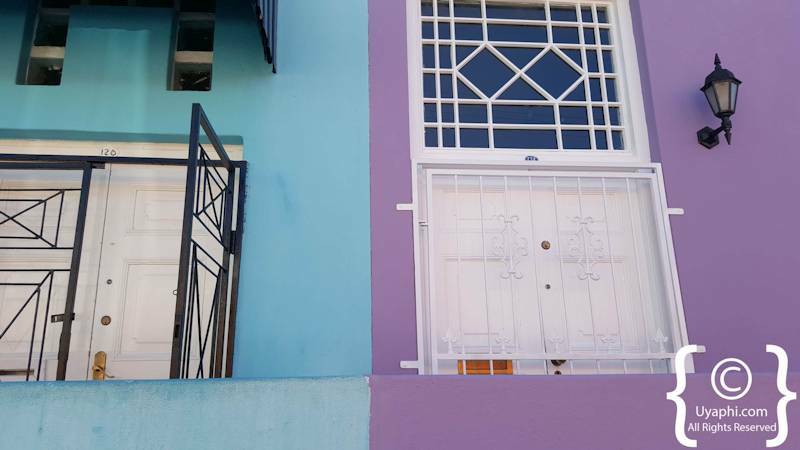 All photographs have been taken by us here at Uyaphi.com with the sole purpose of showcasing the Bo Kaap area from our point of view.